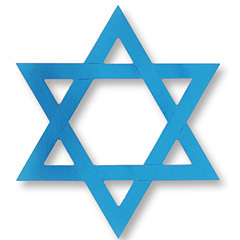 Puerto Vallarta, Jalisco, Mexico - On Friday, April 19, 2019 at 6:30 pm, the Puerto Vallarta Jewish Community will celebrate our traditional Passover Seder at the beautiful River Café on the Isla River Cuale in El Centro. Gather up your family friends and come out and enjoy a traditional Seder with a dinner consisting of: gefilte fish, matzo ball soup, brisket, roast chicken, roasted herb potatoes, steamed mixed vegetables, dessert, coffee, tea, grape juice and kosher wine for 975 Pesos ($50 USD) per person, or 500 Pesos ($25 USD) for children ages 5 to 10, including tip. Children age 4 and under free. The assistance of volunteers is necessary in order to make the Seder a success. Think of us as a large, caring family that works well together. Volunteers are needed as greeters, to hand out and collect the Haggadahs, kippas and song sheets, and to read Hebrew parts, perform the candle lighting ceremony, and help the children with the Four Questions. We are ALL looking forward to sharing this holiday together. Reservation are necessary to ensure that you will be included, especially if you have a group that wants to be seated together. If you plan to attend, please make your reservations with the Puerto Vallarta Jewish Community via a Paypal payment to helth1(at)sbcglobal.net. For more information or to volunteer, please contact me at helth1(at)sbcglobal.net. The River Café is located at Isla Rio Cuale #4 in downtown Puerto Vallarta.